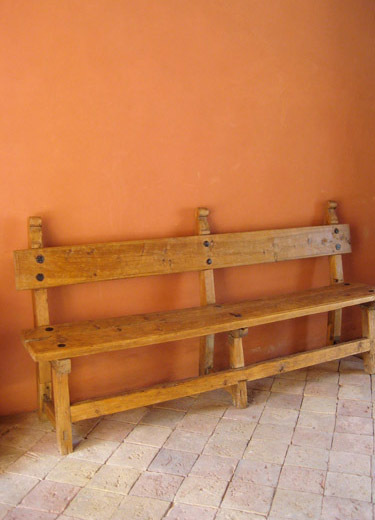 #509 Mexican Colonial Benches with Clavos. Mexican cypress. (Two identical benches available, only 1 shown here). 90.5 x 17.5 x 43H.